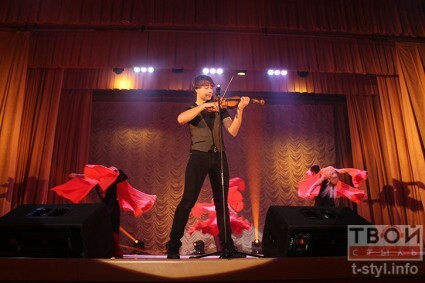 Alexander Rybak with the group of Milki first came to Grodno with a concert and gathered a full house. 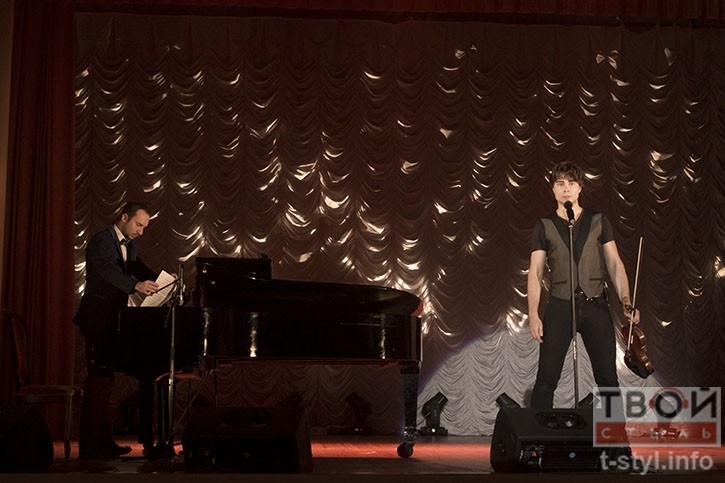 He sang songs from different albums, in different languages ​​and in different styles. In the hallway of the University on Lenin Street it was unusually crowded and noisy. Still – coming star Evbrabachannya, even six years ago. Women preening before the mirror and waited. Remarkably, the concert began on time. The first on the stage Milki. 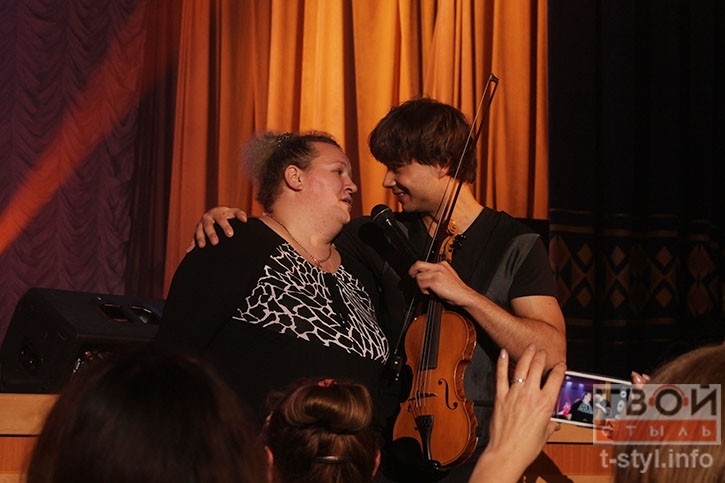 After completing a few songs, they presented “their cat” – Alexander Rybak. He came out to say hello, greeted in Norwegian and learn. “My name is Alexander, – he said. – And you are? ” Fisherman lot of joking and smiling. 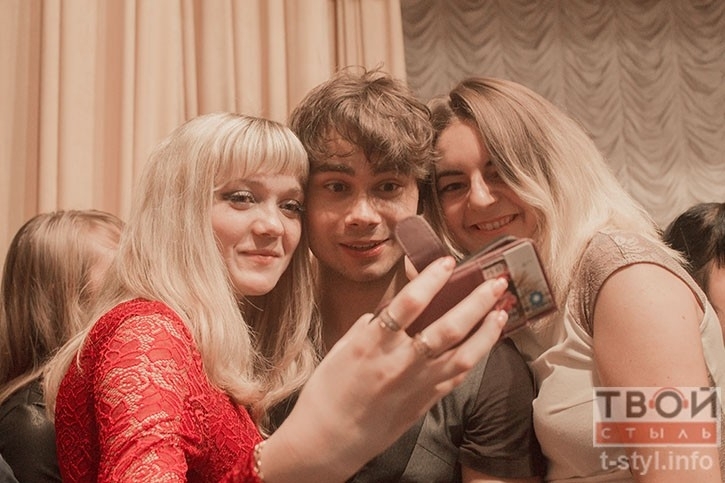 He talked about a specific Norwegian humor, which sometimes do not understand in Belarus. However, contact with the audience was arranged. In the hall, by the way, there were not only people from Grodno. 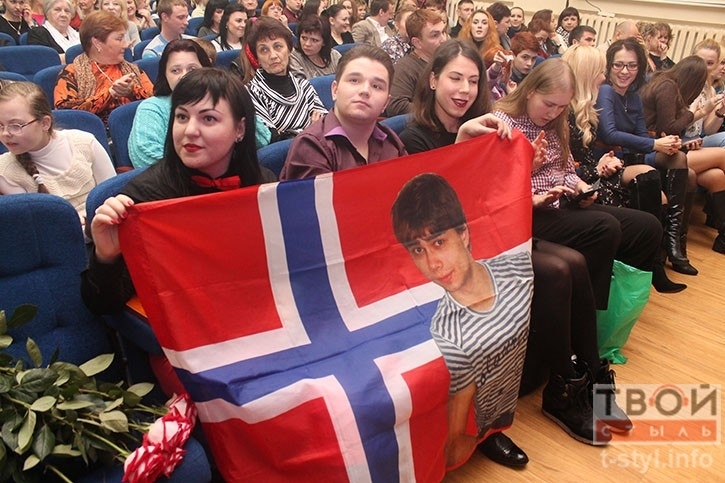 Rybak concert in Grodno arrived five fans from Russia. 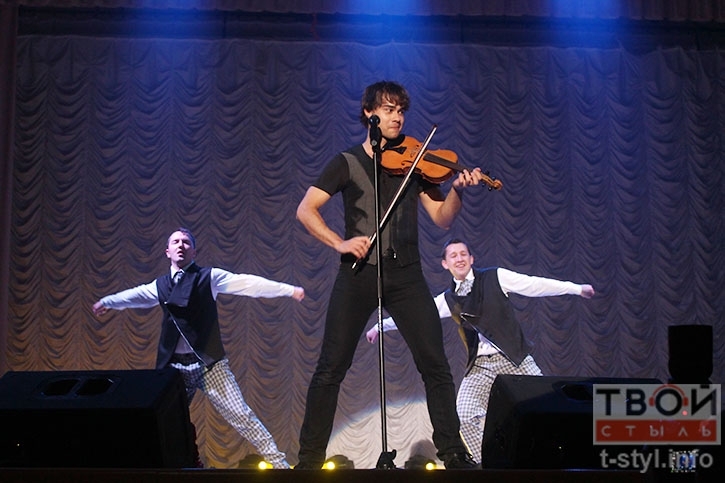 Oles said that a group of the most active fans monitors concerts in Russia and Belarus, and riding the performer. Friends, incidentally, met on the first solo concert in Moscow, Alexander and since then communicate. Alexander even know them by sight and by name. During the second song, the artists decided to make self with the audience. Fisherman handed out compliments of the city: “The last time I did not have time to visit the city, and now I could. It’s very handsome. 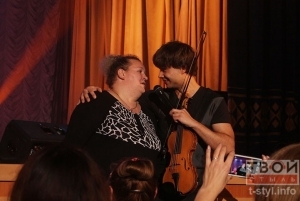 ” After completing another song, Alexander said: “And now I was worried more than usual. It found that your mayor.is sitting in the room ” In the hall is really present Mieczyslaw Goy. Rybak shook his hand and thanked him for the opportunity to appear in Grodno. Goy smiling and showing “class”. Fisherman performed the song “Into a Fantasy”. This song – the official soundtrack to the animated film “How to Train Your Dragon.” Not all the fans know that the artist is working with the studio DreamWorks. At the song “Arrow of Cupid”, backing dancers made a real show. At the end of the concert, the Slavic Norwegian performed a medley of songs that once won the Eurovision Song Contest. Among them were Germanys song by Lena Meyer Landrut, Finlands Lordi and his own Fairytale. “Not everyone is fortunate enough to collect after winning rooms and have a tour” – sympathetically fisherman. Alexander. 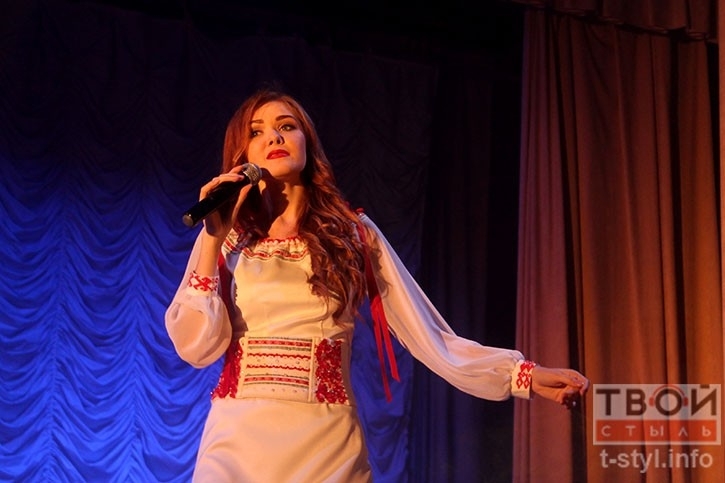 Then Milki, where there grodnenka Victoria Nazarushku, sang songs both solo and together.. Grodno heard Belarusian folk songs in modern arrangement, the Ukrainian “Red Root”, the Russian version of the song dreamed Rodovich “Fair Dances” and the song “Buranovskiye grandmothers” “Party for everybody”. The last was a composition, “which united us into one family” – a song for Eurovision “Accent”. 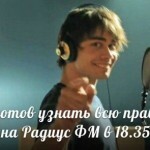 Under this, Rybak personally accompanied the girls. The girls is in white fishnet stockings and short dress with ornament. Milki called this “a combination of tradition and modernity.” The artist refused to talk to the press because of poor state of health. 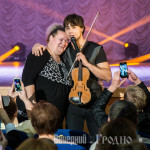 However, he put autographs on all tickets and made photos with everyone, as well as generously distributed Busko girls.